‘Tis the season for thankful hearts. As we take time to reflect on the gifts which cause gratefulness, can we just say that it’s you who fill so much of our list? Our gratitude for how you add such joy, laughter, encouragement, community, support, intercession and exhortation to our lives is ongoing, but at this moment particularly, we want to pause and relate how overwhelmingly grateful we are to the Father for the gift of your love in our lives. And appropriately for the season, the thankfulness just keeps coming (drumroll, please)…we have found a home! The Lord has provided hugely once again, and we are rejoicing! Our Father is so good. We have rented a lovely house in San Clemente and moved in last week. We’d like to extend a special thanks to all those who hosted us over the past 4+ months as we journeyed through the waiting and searching season. This past month has seen the addition and expansion of two ministry opportunities for us as a couple, with the first being an open door in our community to bring training and equipping in the prophetic gifts, one of our greatest joys! In October we had the privilege of leading three prophetic workshops, bringing teaching and activation in a small-group venue while helping believers recognize the voice of God. The fruit of these sessions has been wonderful to behold, and many attendees have been amazed by the work of the Holy Spirit in and through their lives for the sake of building up the Body of Christ. The second new venture is an expansion of something that has grown organically for several decades. As many of you know, one of our passions is to spiritually father and mother the upcoming generation and champion the Body of Christ into its God-given destiny. For years we have enjoyed mentoring, discipling and counseling folks of all ages, with a particular emphasis on training and encouraging young singles and couples/parents. We are now blessed with the opportunity and resources to expand this ministry to a broader level, and our website has just been updated to reflect this effort. Please take a look at the new page on our site called “Life Coach” where appointments can be scheduled online, then recommend us to your family and friends! 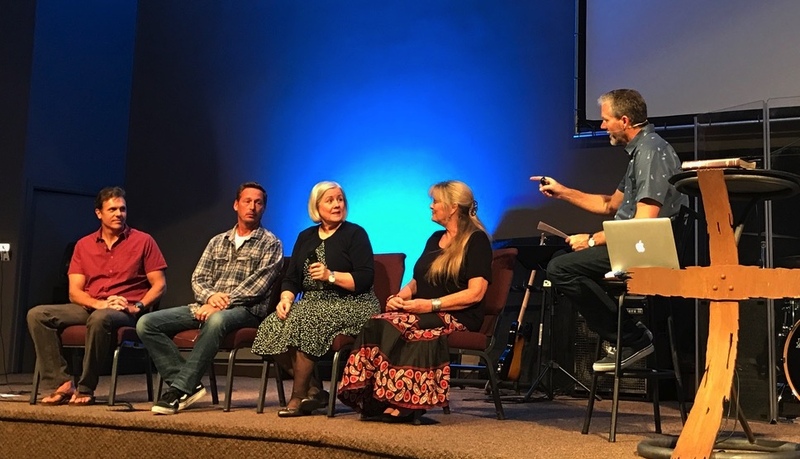 Chris was able to join a panel of missionaries for a Q&A session last Sunday at our home church, and he had a chance to share some of the vision and future for CRSSM. We’ve set our sights toward the new year and the planning of a Costa Rica spring outreach trip as well as a second pastoral training event. We are continually encouraged by the reports of the fruit from September’s conference, and we look forward to answering the invitations to bring the same type of training to many of those leader’s individual congregations. We would also love to host a Costa Rica ministry outreach trip for your church or youth group in the coming year. Please feel free to contact us with suggestions for dates or with any questions you might have. As we make our annual trek to Phoenix to celebrate Thanksgiving with extended family, know that your family remains close in our hearts and prayers. What a privilege it is to glorify Jesus together for all of His GREAT GOODNESS in our lives! Thanks for the great update and so happy to hear you have a place to live! Thank you, Yolondo. Miss you! My heart swells with joy, delight and gratitude for God’s Goodness!! !… as I read your newsletter. So excited for all He and you are doing!! We’ll be in the LA area in early January. I’d love to see you both, if you’re in town and have time. Thank you, precious sister… love to see you!